Edward C. Soloman Park	Solomon Park has fields, hills, wetlands and a small pond where you might spot the neighborhood eagle. Archery is located at the intersection of East 58th Street and 15th Avenue South. 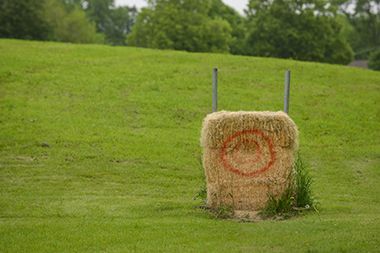 Target bales are provided; bring your own bull’s-eye sheets. Master Plan: After two years of extensive community engagement, the Solomon Park Master Plan was approved in 2016 as part of the South Service Area Master Plan. 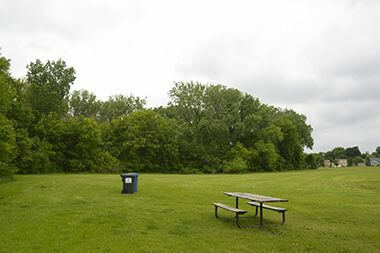 The Solomon Park Master Plan will guide outdoor park improvements at Solomon Park for the next 20-30 years. Click the link below to view the master plan. Name: The park was named in August 2004 for Edward C. Solomon who was a park commissioner from 1996 until his death in 2002. 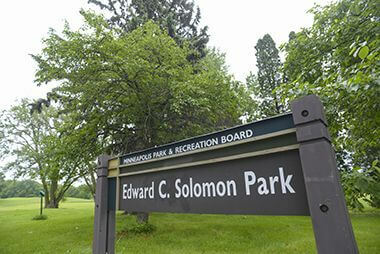 Solomon served as president of the park board 2000-2001. Prior to his appointment to the park board to fill a vacancy (he subsequently was elected), Solomon was active for many years as a volunteer and football coach at McRae Park. He served as president of the McRae Park Athletic Council for 15 years. The park was acquired in a land swap and long-term lease in 2004. The Metropolitan Airports Commission (MAC) wanted additional land adjacent to the airport that was owned by the park board. 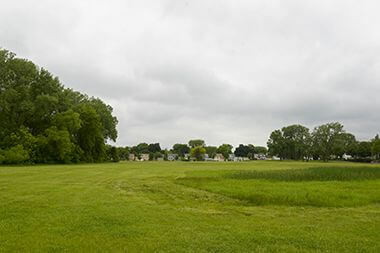 Instead of selling park land outright, the board swapped eight acres of its land for ownership of 12 acres of land owned by MAC and a long-term lease on another 28 acres of MAC land. Although it is not included in total park acreage in the city, the park board still holds title to 600 acres of land on which the airport is located. The airport was acquired and developed by the park board beginning in the mid-1920s. The first runways and air terminals were built by the park board. (Prior to being developed as an airport, there was an Indianapolis-style race track on the property.) When the Metropolitan Airports Commission was created by the legislature in 1943, the park board turned over control of the airport to the new commission. 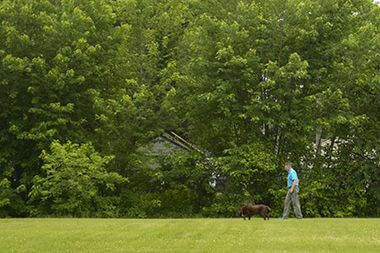 Solomon Park is a combination of fields, hills, wetlands and a small pond for which there are no development plans. One of the city’s most interesting residents, a bald eagle, has built a nest in the park. The eagle often can be seen fishing in nearby Lake Nokomis. 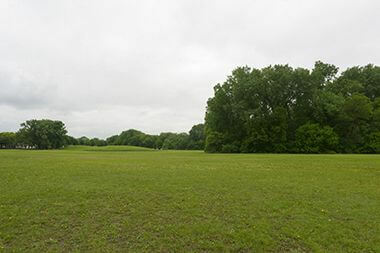 Solomon Park is a combination of fields, hills, wetlands and a small pond for which there are no development plans. One of the city’s most interesting residents, a bald eagle, has built a nest in the park. The eagle often can be seen fishing in nearby Lake Nokomis. Learn how to reserve park space for corporate events, community celebrations, and more. Archery target bales are provided; bring your own bull's-eye sheets.